Under the boughs of the trees, under the stars, an impromptu fashion parade of sarongs, saris, ponchos, kaftans, an Indian prince floats by, hippy goddesses materialise. It must be Womadelaide, Australia’s world music festival. Rufus Wainwright asked the crowd. He drew a picture of “the world music court,” Madonna being summonsed before it, as he launched into a solo acoustic set of inimitable complexity. Seven stages, six continents, from the Saharan ska-blues of Bombino, to the Cuban strains of the Buena Vista Social Club, the electro-rock soundtrack of the future matched to the cine footage of the past from Public Service Broadcasting (pictured above), the close harmonies of Swedish country duo First Aid Kit (also pictured), world music superstar Youssou N’Dour, you would have to be a Martian not to hear something to your tastes. On the subject of taste, some very superior festie food, many of Adelaide’s fine restaurants with mobile outlets, and a line-up for the veggie stall. A mingling of worlds: three flavours of curry sauce for your chips, matching the multiple sonic flavours for your ears-Latino, jungle, urban, soul, folk, electro, gypsy, ambient. And then there’s the people, and the clothes. And a lot of orange. 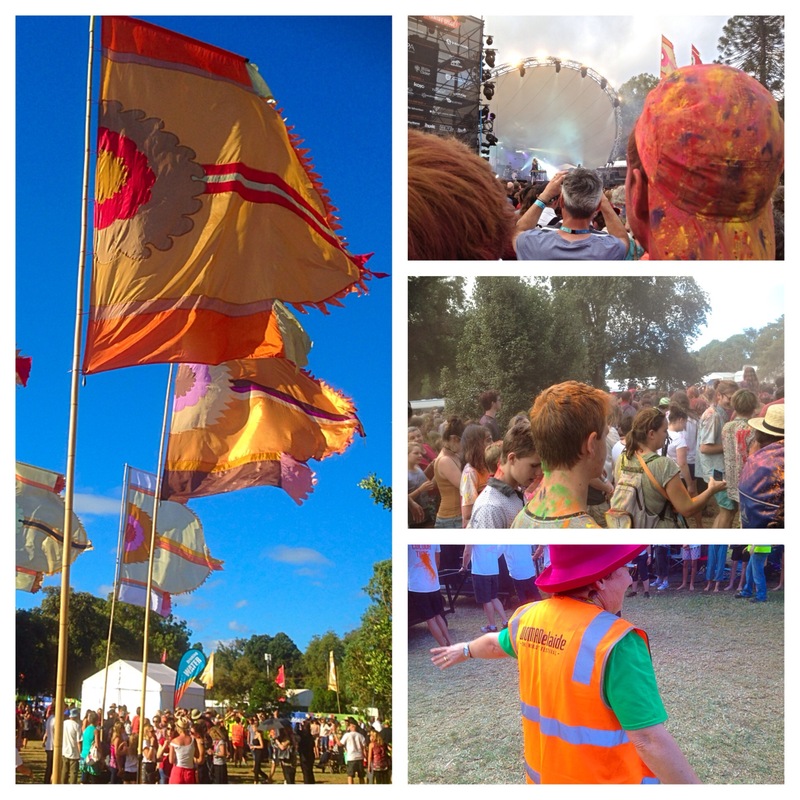 Womad is the realisation of the hippy dream, an enchanted forest of sight and sound for all the senses. For the Daily Post photo challenge ORANGE and harmony. See also One world, one music, one love.